Now I've done some rather simple booklets in the past...I mean, how hard is it to fold a couple of 8.5" x 11" pieces of paper in half, along with a cardstock cover and affix a couple of staples? What I've never done was try to make something that resembles an actual book....well at least not on my own. Getting stuff spiral bound at Kinkos doesn't count. 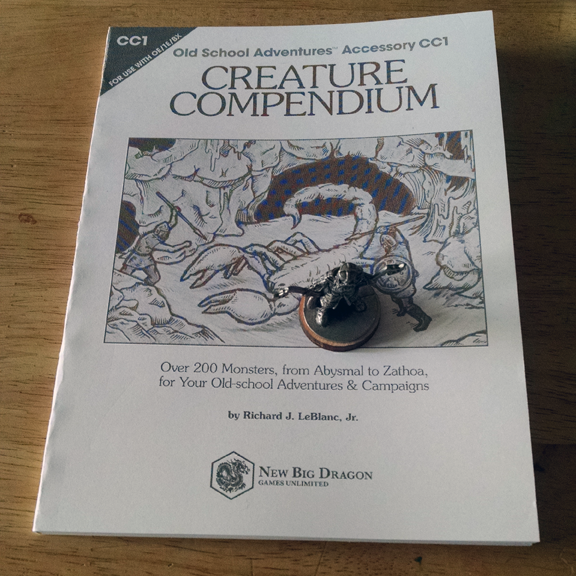 Two days ago I tried to assemble the Creature Compendium into a booklet and at 94 pages, even reducing things down booklet-style was just too much. My regular staples barely kept it together and the booklet was straining to keep open at the spine. No...this needed to be bound. I had considered another trip to the print shop, but I wasn't sure that would be a good idea because I think I'd lose some of the text to the binding. Of course I guess I could just start from scratch and try a print run with better margins, but that'd be a waste and I'd end up just being better off having bought a Lulu print in the 1st place.....but that would be larger than I wanted....how do folks make books these days? My initial searches showed me some great ways to stitch together books from smaller signatures, but my book was already printed in a manner that didn't facilitate this, and I'd need a lot more in supplies. Somehow I ended up link-hopping until I found this blog called Persistence Unlimited. Basically this 2006 entry goes over how to essentially make a "perfect bound" book. 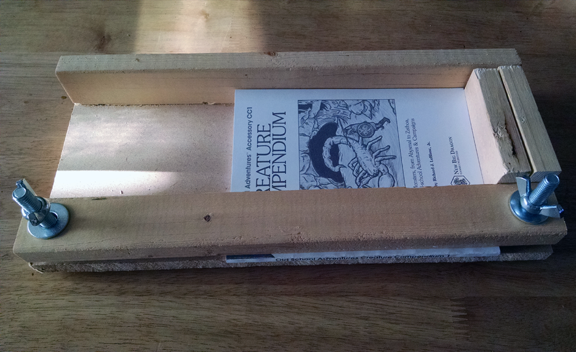 Elsewhere on the blog is another entry on how to make the bookbinding jig. Of course I didn't have everything I needed, but a quick trip to the hardware store and 83¢ solved that. Initially I made a sketch of the jig, with some changed for length and some extra support to account for the fact I was going to use a thinner base material. Out in the garage I found something already cut to size and made some adjustments on the fly. The biggest thing I ended up changing was adding a second side stop block for two reasons: to give me some room for the larger 3/8" bolts I was using and because the side block wasn't perfectly square. The original author's instructions don't even mention made sure the back and side blocks are square, which is really important. 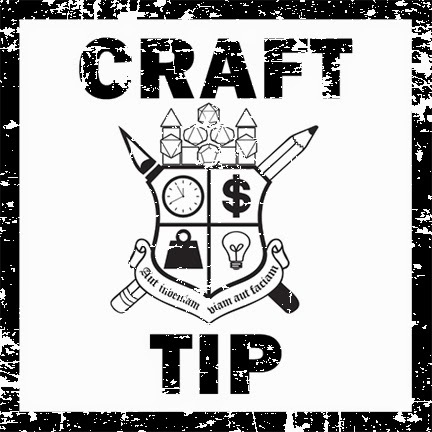 Don't count on the "square" cut edges of your base for alignment! I won't go over the details on how to actually make the book, since the OP does it well enough. Now my book came out great, but is far from perfect. Because of my original botched booklet job the pages still want to flare open a bit at the center of the book. I also mistakenly printed the cover in black & white, but I didn't see the importance of fixing it. When gluing things up I got the spine a bit too wet which caused some visible ripples that show through the cover. The natural lighting of the book when taking these shots really emphasizes this, but it doesn't look so bad in the hand. 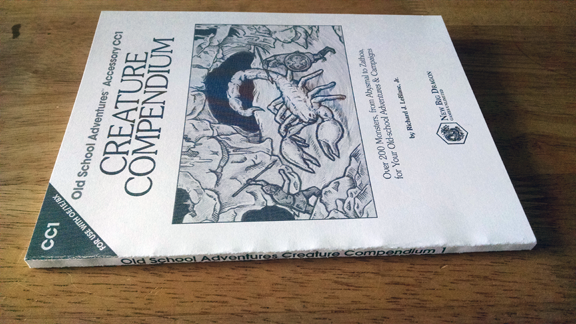 I now have a beautiful "mini" Creature Compendium book that is roughly 5.5" x 7" with a 1/4" spine. 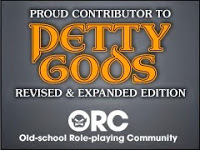 Because of the size I'll have room for it at the game table and in my gaming Bag of Holding. Now this project might not be for everyone. Obviously I had the wood and glue already, along with a much more important feature (in my opinion): a heavy duty guillotine cutter (I have this one). You might be surprised that I have such a huge and expensive piece of office machinery that seldom gets used, but I don't mind spending good money on quality gear. I do mind spending it on wasteful use of "consumables". Anyway......my point is largely that if you make this relatively cheap binding jig and try to this yourself you might be limited to 8.5" x 5.5" books. Because the cover will undoubtedly need some extra room for the thickness of the spine, you might want to be on the lookout for some Legal sized cardstock that you can trim up by hand as needed.